No one says they are opposed to safe, quality medicines. But that doesn't mean they actively speak up for them, either. Put simply: people take the safety and quality of medicines for granted. By shining a spotlight on how common poor-quality medicines are worldwide - and the toll they can take on people's health and hard-earned global health progress - we can inspire people to move from passive support to passionate advocacy for #MedsWeCanTrust. Here you can find out how #MedsWeCanTrust impact the issues you care about, or tell us first-hand why safe, quality medicines matter to you. If medicines contain the wrong ingredients or too little of the right ones, they can accelerate one of today’s most urgent health crises: antimicrobial resistance. [TWEET] If medicines contain the wrong ingredients or too little of the right ones, they can harm patients & accelerate one of today’s most urgent health crises: #AMR. 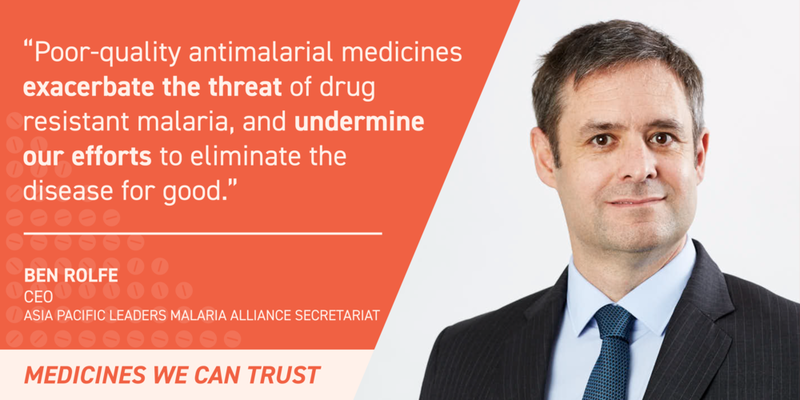 We need #MedsWeCanTrust. Want to see your perspective, issue area or content featured here? So do we!